FiTech Fuel Command Center no go for wheelin. Engine did great but the FCC cooked up the fuel pump some exposing a major flaw for off roading and it got hot and shut off and wouldn't restart. Combined with the extra heat from the hills we climbed, elevation, and idling. Not enough fuel seems to circulate from the gas tank to keep the sump cool enough as it doesn't draw enough cool gas when it idles the sump can was hotter than hell to the touch. A couple handfuls of ice and a few minutes wait it started back up and cooled off just fine all the way back np once the air circulation and gas circulation did its thing. It had happened to me right after I installed the new ignition system and was idling in the driveway a few weeks earlier.it died after idling for a long time. I chalked it off to new ignition settings and bigger spark plug gap etc... and the long 20+ minute idle. I tried to duplicate it the next few days but couldn't. Summit was great on taking it back though with no hassles. So if you have one, return it before the warranty expires. Re: FiTech Fuel Command Center no go for wheelin. 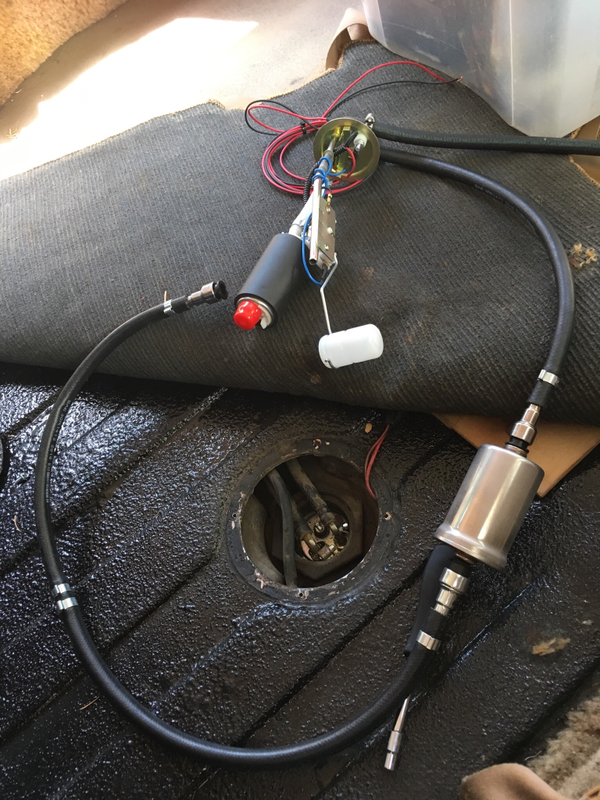 If you are thinking of going in-tank, the common Blazer rear fuel tank is an easy install and if you get it with the CPI fuel pump will easily handle TBI or MPFI pressures. Sorry to hear about your issues, love Summit for being easy to work with. That's a bummer. Glad the return was easy. X2 on the 91-ish TWO DOOR Blazer rear tank. It has a unique baffle system that helps keep the pump submerged in fuel even off-camber or pointed up or down. 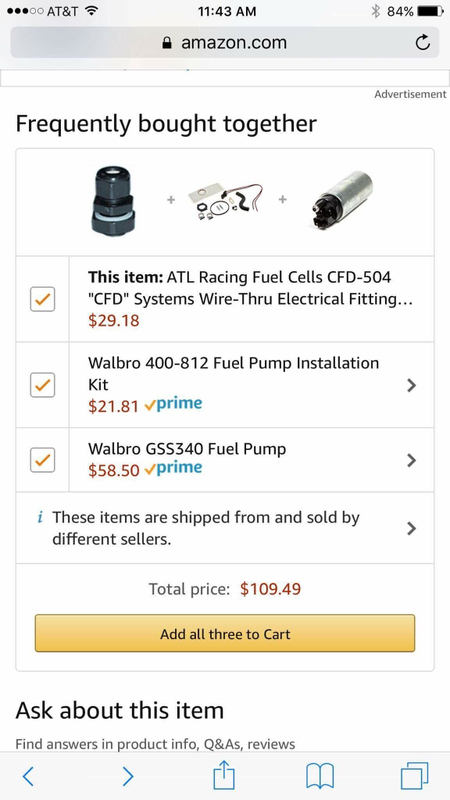 Here's a build your own using your existing fuel sending unit. 80psi and 255lph. Last edited by ShagWagon on Thu Jul 27, 2017 10:02 am, edited 1 time in total. I don't think the mechanical pumps enough fuel at idle. Then engine turns too slow. Then the FCC sump level slowly drops heating the pump till it croaks. Can't be good for the pump life either. I dealt with it for about 9 months wondering why my stuff didn't work right. I just went on a trip all over the mountains using a full tank of gas and all went well with no problems at all with my in tank unit. I checked at the top of the mountain after some controlled heat abuse and the fuel intake was warm but not hot.